This topic contains 2 replies, has 3 voices, and was last updated by McKinstry 4 weeks, 1 day ago. 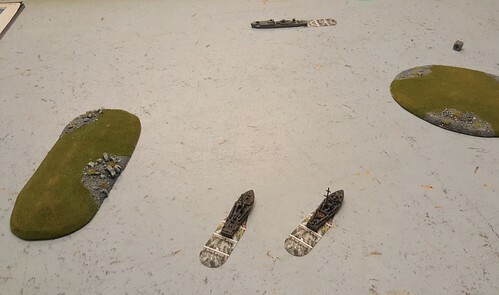 I had first first outing with Cruel Seas at the club on Friday with Colin and we had a lot of fun. I’m still working on my ships but hope to try the game out soon, thanks for posting! We’ve had two games at our FLGS so far and have enjoyed it. We are using some of David M’s mods but it is a good basic framework for coastal fights.